A new study focuses on the global importance of seagrass to the fishing industry. 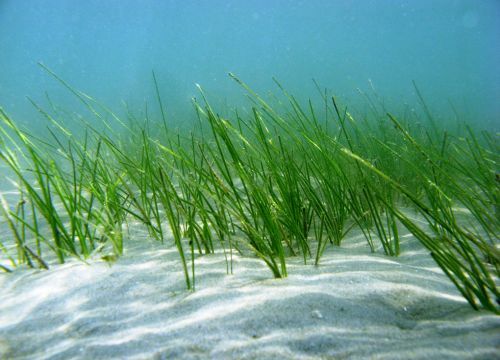 Seagrass can provide shelter for small marine animals. Admittedly, the idea of protecting seagrass is not as “glamorous” as protecting the rainforest, but this marine vegetation is essential to both marine life and humans. A new study by scientists from Cardiff University, Swansea University and Stockholm University, and published in the Fish and Fisheries journal, highlights the global importance of seagrass to fisheries. “Wherever you find seagrass and people, there is most certainly fishing,” said Dr Leanne Cullen-Unsworth, from Cardiff University’s Sustainable Places Research Institute. “In developing countries, this is of major significance for food supply and livelihoods, where everything can be caught, eaten or sold. In developed countries, seagrass fisheries are exploited more for recreational purposes or are highly species specific—for example, clams,” she added. The study covered seagrass fisheries worldwide, including the Philippines, Zanzibar, Indonesia, the Turks & Caicos Islands and the Mediterranean. Dr Culllen-Unsworth stressed that seagrass loss was taking place at an accelerating rate worldwide, and there was evidence of the prominence of unreported and unmanaged seagrass fisheries. Hence, targetted management was necessary. “In simple terms, environmental policy makers and managers around the world need to acknowledge that seagrass is a common fishing ground, a large diversity of fish and invertebrate species are targeted in seagrass meadows, and seagrass meadows are important for subsistence, recreational and industrial fisheries,” she concluded.